Disclaimer All photos shown on this website may differ from actual product. Go Direct Online Store leads the online marketing field in Malaysia in terms of providing consumers with quality plasticware and plastic household products as well as commercial plastic products. In view of e-Commerce industry is growing rapidly in Malaysia, Go Direct Online Store will facilitate you to purchase the plastic products online you need at the comfort of your home, and get your orders deliver to your doorstep without facing the traffic jam hassels. Go Direct Online Store aimed to deliver that goal by offering, quality, fast, convenient and secure online shopping experience with a wide variety of plastic products offered by the market's leading brands like TOYOGO, Clover and other branded plastic products, whether is produced in Malaysia or from overseas. Go Direct Online Store strives to change the life style of consumers towards a better, quality and healthy lifestyle standard. With quality that is top-notch in this industry and prices so low because we source our plastic household products. Go Direct Online Store offers TOYOGO Brand plastic household products such as TOYOGO plastic container, TOYOGO plastic storage box, TOYOGO plastic storage drawer, TOYOGO plastic storage cabinet, TOYOGO plastic food tray, TOYOGO plastic box, TOYOGO plastic chairs, TOYOGO plastic basket, TOYOGO plastic stationery items, TOYOGO plastic storage containers, TOYOGO plastic food-grade containers, TOYOGO garden wears and TOYOGO dustbins. 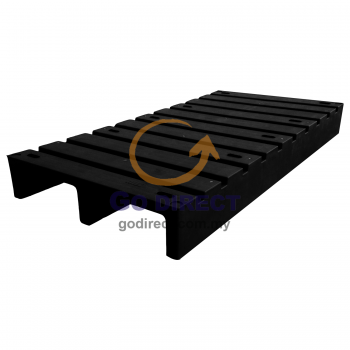 In addition, Go Direct Online Store also provide commercial and industrial plastic products such as TOYOGO security containers, TOYOGO step dust bins, TOYOGO plastic pallet, TOYOGO hand truck, TOYOGO industrial containers, and amongst other things. TOYOGO Brand household products is widely available and used by consumers in Singapore, Hong Kong, New Zealand and Australia. TOYOGO Brand is a leader in plastic household products, and always maintain its quality and robust design in product construction. TOYOGO always strive to be innovative in product development in order to produce cutting edge plastic household products to meet the current fast changing enviornment. In addition to TOYOGO wide range of high quality plastic household products, CLOVER Brand offers other plastic household products to fulfill the needs of other segment of consumers, such as CLOVER plastic pet carrier, CLOVER pet cages, CLOVER plastic furniture, CLOVER plastic table wares, CLOVER plastic food storage, CLOVER collapsible container, CLOVER collapsible basket, CLOVER beehives, CLOVER plastic recycled box, CLOVER hygiene series etc . CLOVER branded product is widely available in a lot of developing countries, such as Japan and United States, although it is manufactured in Malaysia. The technology of production is inherited from Japan, which aims on quality and precision manufacturing products, and is better or comparable with plastic household products produced by well developed countries. © Copyright Go Direct Marketing Sdn Bhd 2017. All Rights Reserved.